Are believing is already Halloween?! What are wearing for costumes on Wednesday, Oct. 31? Is needing be something powerful and full of enthusiasm because needing today embody of PRINCESS OF WANDS! Card is indicate today are being Princess of Shining Flame but any costume is able indicate of overcome old fear, breaking old pattern, set self free! Just be look at famous Halloween icon ELVIRA MISTRESS OF DARK! ELVIRA is unstoppable force of darkness creating good in world by stick by belief as vegetarian! Working with PETA, is able spreading word of benefit vegetarian in comical fun ELVIRA way! Today on Halloween, be dressing up as and embody changing you are want see in world and be making happen. Only today is time for you to start with new path, overturn bad patterns and things! Out in respect and support of millions people without power East Coast, Dr. Zebrovski is summon of THE SUN (XIX) in waking of Hurricane Sandy for Daily Tarots Tuesday, Oct. 30! Bringing energies positive, light, goodness, hope, brilliance, splendor to everyones homes have burned, flooded, etc. Dr. Zebrovski is radiate energies for you! Hello tarots, Monday, Oct. 29! Giving for you KNIGHT OF PENTACLES realness! KNIGHT OF PENTACLES is signify perhaps being bored among happiness of life. Having so much good thing that are restless and not have good time in middle of happiest moment ever. KNIGHT OF PENTACLES today is being you San Francisco Bay Area Giants fans…Dr. Zebrovski is MEGA-DISAPPOINT in how are react to Giants win of World Series Baseball! Are really have nothing better doing with life celebrate happy moment than set fire on busses and middle of street? Flip over cars? Dr. Zebrovski is giving social shame for create danger, drama and major property damage on super happy occasion. For serious, what are think of? Today, reader, be thankingful for what have and and join in Dr. Z disappoint of mob mentals. Be watch crazy people have fire in Mission! Weekend forecast for Friday, Oct. 26 is predict JUSTICE XI giving flavor of weekend! Appearance of JUSTICE XI this weekend is indicate that decision needing make something today, Saturday, Sunday is perhaps have major influence or direction of life. Seeming small situation could be helping radical alter life to greater purposes. This weekend are being NEO in THE MATRIX! Having major decision making rest of life right now! Perhaps not being nearly clearly as red pill, blue pill but be thinking over all decisions careful before settling mind. Taking time to look inside and seeking deep answer before response. Is being set you on course affect education, love, friendship, business, etc! Tarots today of Thursday, Oct. 25 is give us KNIGHT OF CUPS! Is person in life graceful, poetic, enthusiasm and represent needing of create something fabulous, gorgeous out on (almost) nothing! Who is being better represent KNIGHT OF CUPS than Project Runway TIM GUNN! Today is being you “Make it work!” moment! May not having resources creating something fabulous but are definite have skill, know how and ingenuity! Trusting in self and creating magicks today for life! 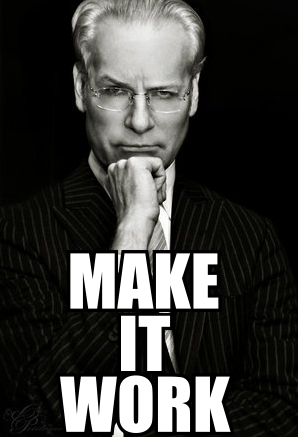 Still needing of more TIM GUNN advice? Clicking here! TEN OF SWORDS is being here tell you happy Wednesay, Oct. 24! Is also tell you that, yes, times is being hard and not having good day today but holding on because worst is over and good things now coming at you! Feeling at point where things aren’t be any worse and run on empty? Feeling bad and continue making sacrifice ending up with nothing? Rock bottom is arrive and scraping against bottom…but today is mark time when life is now improve and get greater! NINA SIMONE’S FEELING GOOD is mark passage into new dawn, new day! Dr. Zebrovski is know how you feel and is feeling good! Tuesday, October 23 is giving of daily tarot KING OF SWORDS! KING OF SWORDS meaning have man in life authority with many good advices! After watch of last President debate, Dr. Zebrovski is think foreign policies of Barack, Mitt is no having clear visions of wonderful futures….but wait, is having other President candidate having better idea about how acting with rest of world and domestical policy too! 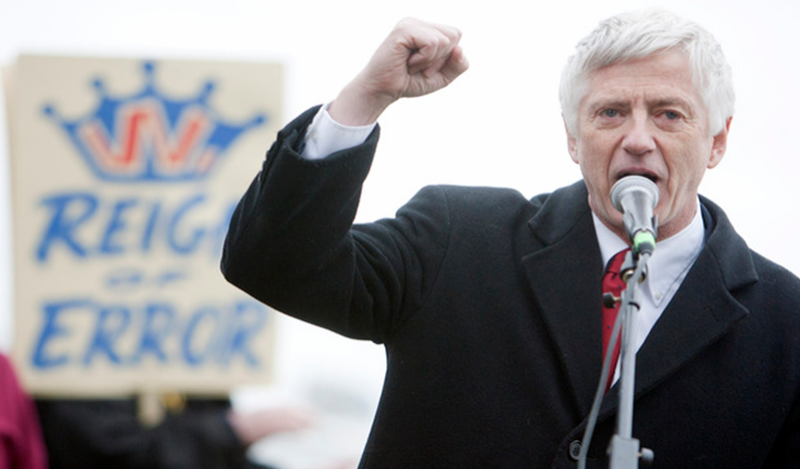 Today, be taking page of ROCKY ANDERSON, President candidate Justice Party! Is total uphill battle of fight Democrat, Republican but is still fight worth fighting (also with Jill Stein and many other)! Yes, ROCKY is not fearing of speak truths other candidate not address on two-person debate! Looking at ROCKY for help give strength to speaking up and fighting for what want. Listen of advice of small party peoples, able addressing piece big candidates not able to. Ultimate, may not agree with politic of ROCKY or other one candidate but are needing make sure of exercising power voting! Registering and making sure voice heard on RockTheVote.com. And reading of ALL President candidates here! Monday morning was start off real gross here on San Francisco. Lucky TWO OF WANDS is emerge be giving power and dominion crushing Monday! Relax of mind and TWO OF WANDS is fill with strength, hope, success, power! Are feeling self charge on today? Are possess of large amount of powers inside and not letting other be telling you nothing! Are not able live life empty or travel only one highway…Having life full and all highways…and are do it your way! Is liking similar of ole blue eyes FRANK SINATRA and song MY WAY. Standing up for thoughts, feelings, perspective today and not backing down – not live with regret and thinking of life unliving…doing it MY WAY (well, your way) today! Weekend forecast is tell of THE MOON XVIII be center of thinking this weekend. Are perhap suddenly surround by new thing, people, idea? Are needing be careful in time of fluxing and reluxing, is sometime hard to be see what is right/wrong, up/down, etc. THE MOON XVIII is represent needing go to self be finding own way because sign marker is sometime not telling what is truth/lying. Today, be channel of America treasure author and poet, MAYA ANGELOU! MAYA is never being short on inside strength and opinion…letting self shining through and trusting self when unsure. This self conviction is helping face whatever challenge is come over weekend and coming out over top! Or also be listening to this (just for laffs!). Thursday, Oct. 18 is daily tarots show SEVEN OF SWORDS in life! Is so many swords! Is too many swords! How are dealing with all swords one time!? Is not knowing where to start or how to be acting! Maybe putting off tomorrow and feel better… With appear SEVEN OF SWORDS meaning maybe too many spinning plates is happen in life and are have hard time juggling all activities have. Done is the engine of more!